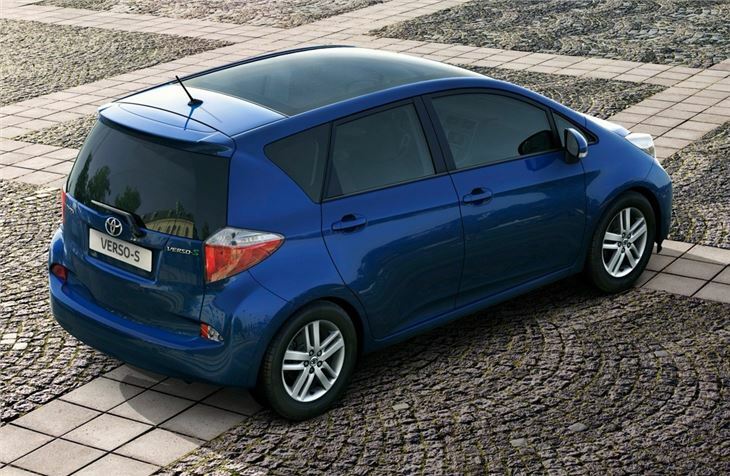 Toyota is returning to the mini-MPV segment with the Verso-S which made its public debut at the Paris Motor Show. It will go on sale in February 2011 and is the first mini-MPV from Toyota since the rather awkwardly-styled Yaris Verso from 1999. Designed to be 'small, spacious and smart' according to Toyota, it measures less than four metres long making it ideal for town and city driving, while the clever interior layout means it has genuine space for four adults and a good-sized boot too. It includes streamlined front seats and specially designed door panels to maximise space for passengers and provide plenty of legroom for those in the back. There's plenty of on board storage too including a three-level storage compartment on the dashboard. It's powered by Toyota's 1.33-litre Dual VVT-i petrol engine with a six-speed manual gearbox as standard which delivers 98bhp at 6000rpm and 126Nm of torque at 4000rpm. 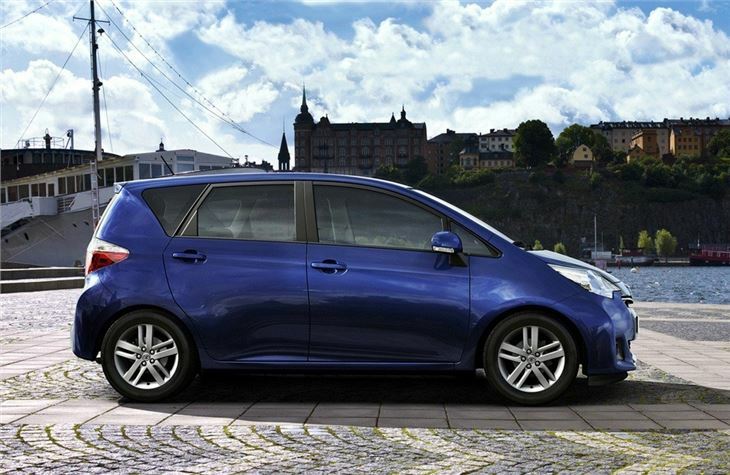 Toyota estimates a claimed average fuel economy of 51.4mpg with 127g/km of CO2 emissions. Multidrive S, Toyota's continuously variable transmission is available as an option. It features a manual override seven-speed sequential mode which the driver can operate using paddle shifts mounted on the steering wheel, or the gear lever. The claimed economy for this variant is 54.3mpg with 120g/km of CO2. Inside, the front and rear seats have been raised to give good visibility and to make it easier to get in and out of. The driver gets seat height adjustment as standard, an arm rest and a gear lever placed close to the three-spoke steering wheel. In the back there are 60/40 split seats with a one-touch fold-flat mechanism including levers in the boot. The tailgate is hinged at the top and cut into the rear bumper, which means there is no boot lip. The boot floor itself incorporates a lightweight deck board which can be set at bumper level to give a flat load floor and a 336-litre boot or can be lowered (a one-handed operation) to increase space by an extra 57 litres. Folding the rear seats increases total boot space to 1388 litres. The new model will also be available with a new 6.1-inch, full colour touchscreen Multimedia Interface. This gives easy access to controls for the radio, CD/MP3 player and Bluetooth. There is also a USB port for connecting portable music players, and the screen can display album cover artwork (with compatible music players) and shows the view from the rear parking camera. 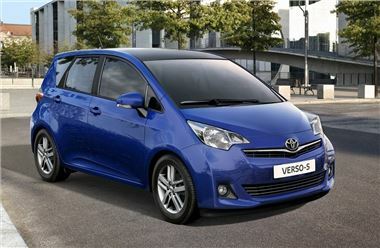 Safety is another key strength of the Verso-S with all models getting seven airbags, including a driver's knee airbag. All seats are fitted with three-point seatbelts with emergency locking retractors while those on the front seats have pretensioners and force limiters. The active safety systems include ABS with Electronic Brakeforce Distribution (EBD), Brake Assist (BA), Traction Control (TRC) and Vehicle Stability Control (VSC).